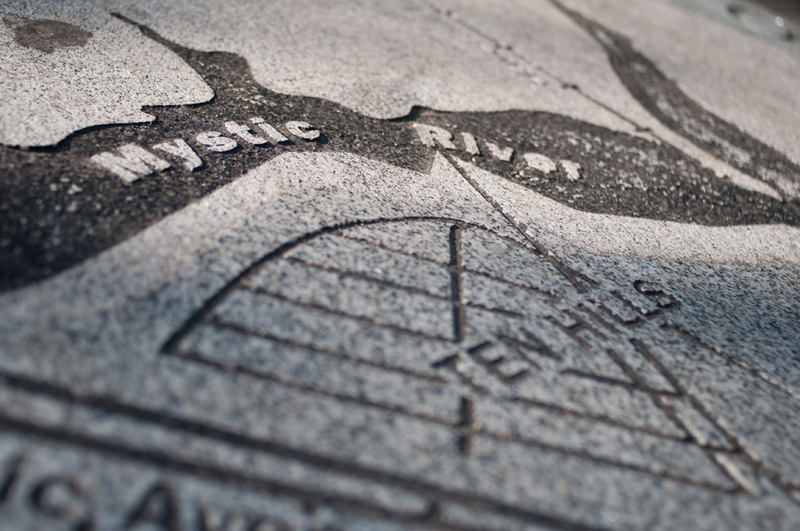 Good design always considers its medium, and sometimes the medium itself presents a tremendous design opportunity. 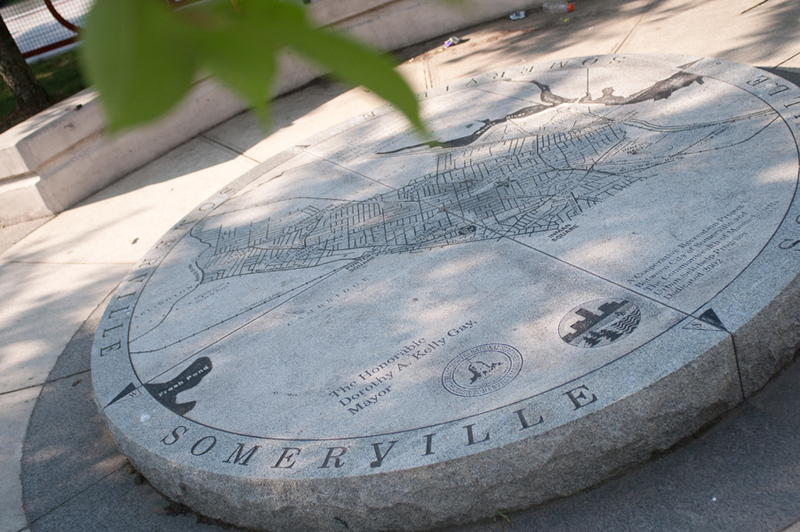 This map of Somerville, Massachusetts is carved into granite, as the centerpiece of the redesign of the surrounding park. 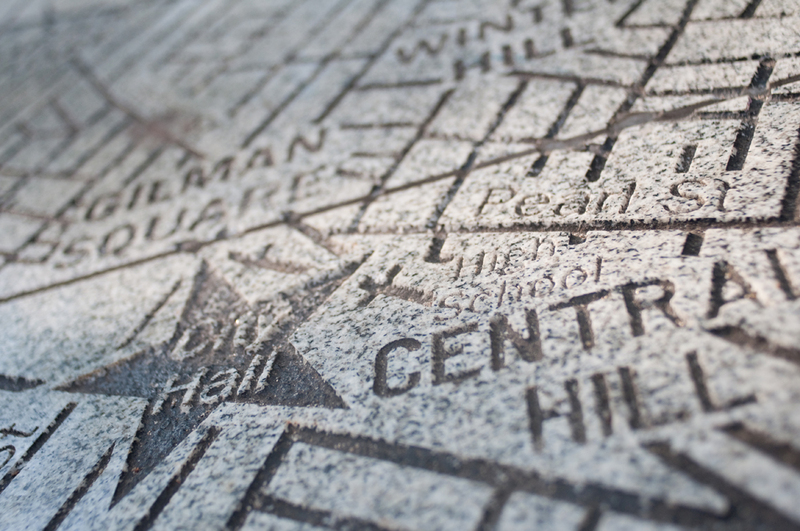 Our design balanced the need to produce a map that could be reproduced in stone with the goal of presenting an accurate plan of the city on which visitors could find their own street. 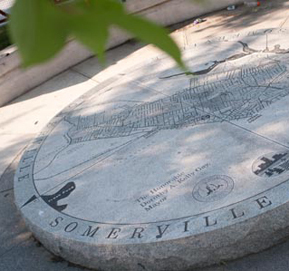 The map and the redesign of the park have proved popular and have been noted the architecture community.